Hey guys, Cate here. I would feel remiss if I didn’t take this morning to talk to you about where I’m coming from when it comes to our food supply in America and wrestling with that ever present internal question of self, “What can I do?”. I really have been down the information rabbit’s hole on the issue at hand. The level of corruption of what Americans consume via the food and water supply is deplorable, unconscionable, and downright evil. My mission has evolved from just being an urban farmer and offering Dallas delicious organic food options, to wanting to march on Capitol Hill along with millions of Americans who refuse to be poisoned and controlled and force fed the profit strategies of a few greedy, yet brilliant business men. We are literally at the point where inaction and passivity are no longer acceptable, in my opinion. The scientific proof that backs up what I am saying is out there. You can easily access the data you need to make an informed decision. What you do with the knowledge you gain is what I want to talk to you about today. I’ve been wondering what I can do to affect real change on this very important subject. Here’s what I know already: I feel so strongly about this, that I cannot stay silent. I feel like facebook posts, blog posts, starting instagram accounts and the like, just aren’t getting the reach that I believe this issue requires. I want to speak to other moms. I want dad’s to learn what their families are eating. I want to reach out to Texas legislature and demand change. I want Americans to band together to stop the poisoning of our food supply. Complacency is no longer acceptable. I encourage you all to take the time to look into what you are putting into your bodies, and then decide what you are going to do to change it. You don’t have to join me in wanting to be a revolutionary, you don’t have to be an organic food renegade. But you do have to stop eating poison and feeding it to your family. You have the power to tell others about what you learn. You can change the world. I can change the world, we just need a plan. Our voices seem small when they are but a whisper. Think of the resounding message that we can get across if we band together and choose a line of attack. I propose putting a plan in place which will unite like minded Americans who will no longer tolerate the forced corruption of our food and water supplies. Reach out, find out. Make change. With all the hype over Subway bread containing the menacing food additive, azodicarbonamide, I wanted to do a little research. So here in my corner of the interwebs, at 3:30 in the morning, I am going to post my shocking findings. Ok, first of all yes, Subway did agree to stop using this particular food additive. However, it did not specify when. The principal use of azodicarbonamide is in the production of foamed plastics as an additive. Big Food has found a clever way to drive profitability by turning it into a food additive. Here’s my take on Subway and it’s bread scandal: Dude, why are you eating at Subway in the first place? Eat fresh was such a clever ploy for a bagged veggie and rubber bread company, but by now I would hope that any true food revolutionary wouldn’t be affected by this news on a biological level. Be that as it may, please spread the word about this being just the tip of the ice berg. You heard it here. People may finally hear something about the food supply and demand change. Or, maybe over a million US residents will visit Subway today anyway, based solely on the news that they are not going to use azodicarbonamide anymore. It didn’t take long for me to find the information I sought as my mind started to reel. Holy cow. It’s everywhere. Quick personal knowledge check: What I know is that organic bread is hard to find, because of its relatively short shelf life…as opposed to entire isles dedicated to bread products that will last for weeks. My mind jumped to bread that you bake yourself, like from a can, biscuits and the like. What about frozen bread items? Toaster strudel anyone? Here’s the deal, people: Stop eating poisoned food! While you can find alternatives to yoga mat bread, the trend here in the US is preserving a bread item for commercial sales profits is more important than preservation of human life. These additives drive profits for the companies offering these food items to hungry Americans. Millions of Americans every single day pay good money for these tasty food imposters. I cannot express my disgust in this entire “azodicarbonamidegate”. It just goes to show yet again that the food supply is most obviously tainted, and it’s something that each one of has the ability to create change in. Stop buying the poisoned food. Unfortunately this is going to limit your choices basically to your home and a handful of places offering organic menus. Don’t be discouraged! The culinary world didn’t just get smaller, it literally just opened up to every one of us! Fast food is fast. It’s a fast way to kill your body. The surest way to control a population is through its food supply; our food supply has been scientifically proven to be compromised. What will you do? Be not dismayed! You can have delicious, wonderful whole foods at home. You can demand change in the food industry. The point is, you spend your money on the food you eat. Why will you spend another penny on poison? Your body doesn’t need it. It cannot process it. Tasty poison is still poison. So, you buy it and eat it, therefore you’re poisoning yourself. Clever, clever, Big Food. I see what you did there. I encourage you to take the time to reach out to an elderly loved one, and ask them if they have any recipes. Start there. Buy locally grown and sourced, organic ingredients. Grow your own food. Prepare food at home. Reconnect with the origins of what you are fueling your body with. Find recipes on the internet and try your hand at them. I have a 16 year old son and a 12 year old daughter. 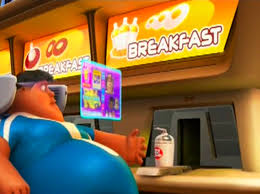 Believe me, anyone can ditch the fast food lifestyle. Kids will adapt. Your family will enjoy meals together. You will feel your body rewarding you for the change. My point is this, if you don’t know what an ingredient is, based on its funky name, look it up. If it’s poison, don’t eat it. Grow up. Take charge of what you spend your hard earned money on. Feed your body with real whole foods. Starve the chemical companies out of the food industry, one less trip to the drive thru at a time. What? An awesome free lecture from a top physician you say? YES. Come hang out with me, hear this guy speak about the importance of whole food nutrition. 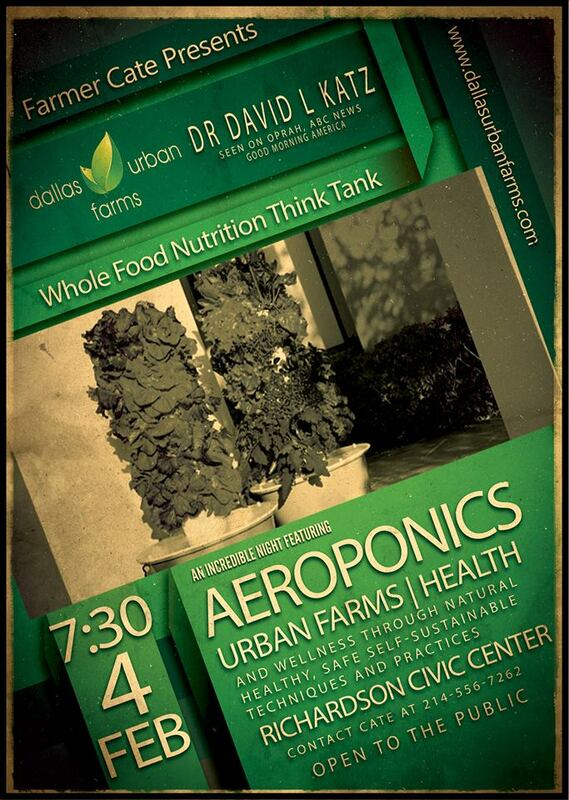 Catch up, and let’s talk about how Dallas Urban Farms and I can help you grow your own produce. Sh*t just got real. Vulgar as that may sound, it is the only way I feel like I can accurately express the current situation. I am a food renegade, this is my life. Okay fine. That’s my choice. But, I’m also a mom. My kids are not allowed to eat poison ever again. They just aren’t. I’ve done my research, folks. I know what’s going on with the American food supply. The thing is, now that I know what is in the “food” being peddled by big greedy businessmen, I can’t stand knowing that the people I love are still paying for it, and then eating it! So this may seem a little far-fetched at first. I would love to take this opportunity to share with you an organic food shout out :) You can start with the Organic Consumers Association, that’s a great site for starting your research. If you have a few minutes you can devote to it, there is a video that really changed my life. It started me thinking about my own life, my own body and the changes that occurred, and the timing of those changes. Robyn O’Brien is another mom who stumbled upon shocking information and bravely shared it with all of us. My friends, my classmates from high school, my peers, all of our children have been brought up being fed nothing but poisoned food. It’s that serious. The food we have been spending billions on has been killing our kids, our parents, ourselves. What better way to control a population than via its food supply? Engineer the food items to be tasty, addictive and harmful. Easy and cheap to produce, DEMANDED for by the very public intended to be enslaved by the industry in the first place. Have any of you seen Wall-E? Silly as this may sound, take a second to recall the film. Ok, got it. Now, take a look at the statistics for rise in obesity and the correlation to engineered foods. It seems that in lab studies on rats, which to make note of here, there have been NO HUMAN TRIALS to test the safety of genetically modified foods for humans, obesity has been proven as a side effect of consuming GMO’s. Look at what Global Research has to say. America is just accepting this “food” without much thought to the consequences. Yes, McDonald’s is bad for you, but so is any other food source that has genetically modified ingredients. That includes Buffalo Wild Wings and III Forks, Jason’s Deli and Chick Fil-A. Who would have thought it, eh? Our food supply has been seriously compromised. And it’s happened in our generation’s lifetime. There are studies showing the lowering of sperm count in western countries that allow gm foods. Begs to wonder, are we causing our own extinction simply because we want “convenient” food solutions? Cancer, diabetes, cardiovascular disease, the list goes on. These numbers have all risen in America since the introduction of gm foods in the early 1990’s. We cannot stand back and just watch it rise! You have the power to affect change in your own family, your community and if we come together, our nation. It’s a clever marketing ploy to increase the distance between the 1% and the rest of us. Check this out: Oh My Gosh. So, in very short order, I have come to the reality of a close family member not believing the “hype”, when I am screaming inside to say STOP KILLING YOURSELF! And please, do not feed my kids poison. I have to give a big shout out to my son, Louis, who was a little crusader last night, out to save the damsel in distress, the princess needed saving from the poisoned hamburger. This is my reality. I love my kids so much. I love all of you too. Take the time to investigate. You’re smart. You have the ability to look into this. You need to look into this. Let me know how I can help. Send me a message if you would like to talk more about how you can stop buying poison, and start feeding your family wholesome, home grown food that you can ensure the safety of. I’m going on a quest for knowledge. I’m leaving my safe place. My comfy home. I went into a meeting with a man that wields more power than I ever dreamed possible. I knew for a couple of weeks that this meeting was going to happen. I purposefully didn’t google him. That morning I checked him out on facebook. That afternoon I was blown away. I was given two tasks, go learn at a farm somewhere else, and bring some produce. I’ve got the produce on lock, so what did I do? I went. Screech! Plans changed immediately. This was Friday afternoon. It’s now Sunday morning at 4:45am. I left that life changing meeting with a zeal I wasn’t yet aware I was capable of. I am here now writing to let everyone know that I am on my way to Colorado. I am going to Denver. This is something that I feel deeply compelled to do. I got on the internet, I did research, I found someone to reach out to in Colorado. I have secured a place to stay, a farm to volunteer at, and an action plan for my downtime. I plan on blogging frequently, and might even set up a twitter…gasp! This journey is one that excites me. I have a goal, a plan, but I am leaving my support system, my comfort zone, to places and experiences unknown. I am ever thankful to God and his many blessings. I am so happy to have a way to share the easy steps to being a healthier human through whole food nutrition. I believe so fiercely in the human body’s reliance on fruits, vegetables and berries, that I went from a 12 year career in the insurance industry, the last three of which were in health care, to being an urban farmer. To grow good health. 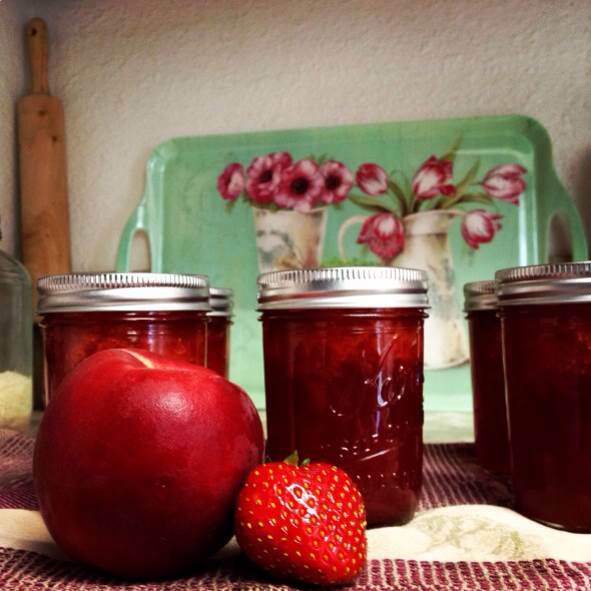 To make amazing heirloom, organic produce available to everyone. So I am off to Colorado come Tuesday. I am set for a place by the end of the week for a month. I am so excited to see how much I can learn, how I can volunteer in Denver while I am there, how I can network in order to help others succeed as well. It’s all very profound for me, as I feel that I was called to make a complete change and then a dream came. That dream has evolved into a mission, a lifestyle. A complete dedication to the success of this venture. People need to eat whole foods. Poison will kill you. The human body requires the nutrients found in produce. Period. I want to grow it and sell it to all of Dallas soon, so I need to get myself to Denver as soon as possible. It’s weird how things just fall into place, but here I am actually prepared and able to go to Colorado. Excited isn’t a strong enough word.